Some of you have probably already played Image & Form’s excellent platform miner, SteamWorld Dig. It’s been out on various platforms and has won numerous awards. Image & Form just announced that there will be a follow up to that game coming out in 2015 and it is called SteamWorld Heist. The game will be set in outer space and will feature different gameplay from the original. SteamWorld Heist is a game about space adventures and survival. Recruit a team of ragtag robots to explore and scavenge the remains of a destroyed world. Board enemy ships and command your crew in a unique variety of turn-based combat. 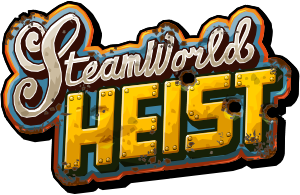 There are no announcements yet on which platforms SteamWorld Heist will arrive on exactly, but the release date is set for Spring 2015.